Even while policymakers in California debate the need and appropriate approach to address the state’s long deferred roadway maintenance repair and reconstruction needs, we are also embarking on a real-time examination of a new way to fund highway and roadway needs – the so-called mileage fee or as some refer to it as, Mileage Based User Fee (MBUF). The problem confronting California, most states, and the federal government that all rely on the gas tax to finance highways and roadways is the erosion of the revenues resulting from flat or diminishing fuel sales. Most funding for state transportation programs comes from excise taxes on gasoline that are dedicated to funding highways and roads. 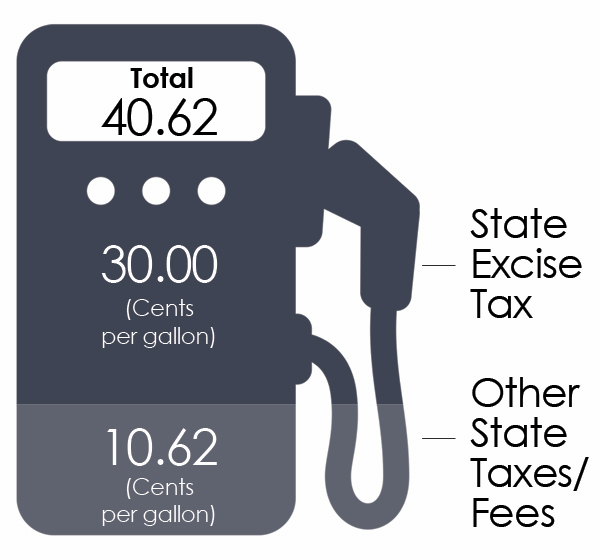 The gas excise tax serves as a proxy charge for road usage, as taxes paid roughly correspond with miles driven. For example, individuals who drive more miles and inflict more wear on the road also use more fuel and, therefore, pay more in fuel excise taxes than those who drive fewer miles. But, when matched up with consumer demand for more efficient vehicles and the steady march of federal Corporate Average Fuel Economy (CAFE) standards requiring auto manufacturers to produce ever more efficient vehicles, motorists are driving more and paying less in fuel taxes that support our roadway network. Additionally, clean fuel vehicles and other alternative fuel vehicles pay little or no fuel taxes at all. While the number of such vehicles is currently a small percent of the statewide fleet, it is expected to grow under the state’s policy to reduce petroleum use by 50% by 2030. As a result of this and other state policies to promote sustainable and walkable communities, we can expect the sales of fuel to continue to erode. Compounding the vehicle efficiency effect on fuel tax revenues is the fact that the purchasing power of the gas tax has been diminished by inflation. 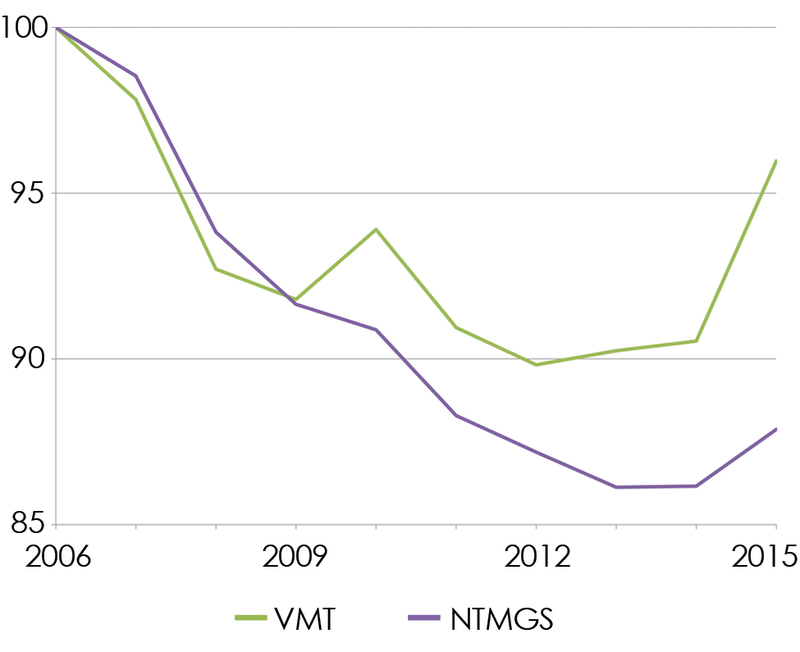 Furthermore, present state and federal fuel tax rates have not been increased since the early 1990’s. These issues led to the current focus in Sacramento on how to address the deferred maintenance shortfall, where we are now seeing various proposals to address the deferred maintenance shortfall through new gas tax rates, on the one hand; and other less traditional sources, on the other, such as vehicle registration fees dedicated to roadway repair. During recent public hearings on transportation funding approaches, some have questioned whether the continued reliance on fuel taxes made sense. Nevertheless, the fuel tax remains recognized as a very efficient, low-cost tax to administer while still generating substantial revenues. It is not going away anytime soon. In light of these issues, the Legislature enacted Chapter 835, Statutes of 2014 (SB 1077, DeSaulnier), to direct the California Transportation Commission (CTC) to develop a framework for a pilot program to examine on a “road usage charge.” This action places California in line with other concerned states, such as Oregon, that have undertaken similar analyses over the past decade. The Commission recently completed their work and has made their recommendations to the California State Transportation Agency (CalSTA) on the structure and specific features of the design for implementation of a road usage charge pilot program. Moreover, and more importantly, the Administration has provided budget resources to begin to carry out this effort. What will California motorists see when the Administration moves ahead with the pilot program? First and foremost, based on experience and lessons learned from Oregon and other states, the Commission clearly understood that motorists want choices in the manner in which mileage is reported. Consequently, California’s pilot program will offer drivers a variety of mileage recording methods that range from time permits, mileage permits, post pay odometer charges, and automated distance charging without location information, to automated distance charging with general location information. A second key aspect of the pilot program is that it must test a range of representative motorists and the Commission’s suggested framework calls for a mix of individuals, households, businesses, and at least one government agency. The recruitment for potential pilot participants is underway now and is expected to include a cross-section of at least 5,000 vehicles that are reflective of the diversity of the fleet currently using California’s road network, including alternative fuel and hybrid vehicles. The Commission was also very careful in addressing the matter of privacy, in data collection and program administration, as experience from Oregon and other states clearly shows that most motorists confronting the road usage fee concept are worried about privacy. To this end, the state adopted strong elements to ensure the pilot program provides for stringent privacy protections. So, while policymakers forge ahead in their quest to address the state’s deferred roadway maintenance deficit, they will likely continue to rely on some form of Transportation Funding V.1 (fuel tax). However, with a robust and transparent pilot program soon to get underway to test the efficacy of the mileage fee, we may well see California moving toward Transportation Funding V.2 (MBUF) in the not too distant future. Established in 1978, the California Transportation Commission organized four transportation-related boards – the Highway Commission, the State Transportation Board, the State Aeronautics Board, and the Toll Bridge Authority – into one body. 9 voting members are appointed by the Governor and one each by the State Assembly and State Senate, and 2 non-voting members are each appointed by the Assembly and Senate. The Commission oversees fund allocation and program implementation for transportation improvements and advises the Secretary of the California State Transportation Agency and Legislature on transportation policy development.